Do you know all there is to know about attracting Millennials? Do you have what it takes to reach and recruit them? Bad news! The age of the Millennials is all but over. According to Jobbio’s new eBook, there’s a new generation coming of age. So forget what you think you know about attracting the youth market and say hello to Generation Z: your future customers, colleagues and employees. Who are they and what do they want from us? Gen Z is roughly categorised as those born between 1996 and 2007. They are soon to become the fastest growing electoral and consumer group, with the first wave of Centennials due to graduate and join the workforce in 2017. To add a little context: 1996 (the year the eldest Gen Zs were born) is also the year Toy Story hit our screens, Spice Girls released their debut single Wannabe and 2Pac was fatally shot. Gen Zs favour the direct approach and are less tolerant of phony endorsements or advertising. When it comes to hiring, this is even more important. How they view gender and sexuality is less definite than their older counterparts. Consider the effect this will have on your company literature or your incentive and benefit schemes. This generation are always looking to evolve and develop to their full potential. They want to upskill, learn more and learn fast. How will you satisfy their need for growth? Gen Zs have an average attention span of 8 seconds so if you don’t have them at hello, you don’t have them! 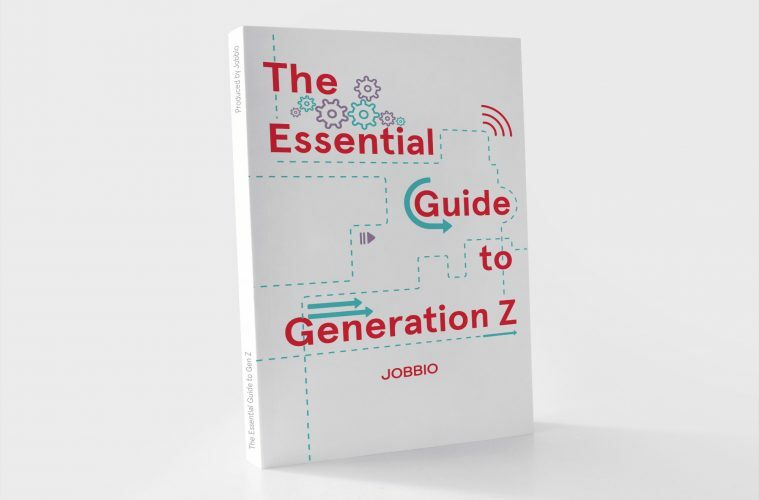 For more insight into Gen Z, you can download “The Essential Guide to Generation Z” (for free) from this link: https://info.jobbio.com/gen-z-ebook/.